One of the things that make the greater Tampa area such a great place to live is our proximity to the Gulf of Mexico and the great opportunities we have to enjoy the waters near our cities. Many of us enjoy taking our pleasure boats out for the weekend, while others make their living off the water. Whether your boat is a 10 footer, a yacht, or a commercial vessel, All Florida Fire Equipment is the company you can rely upon to meet all your marine fire protection needs. We all know that any sort of fire on the water is a bad thing. Not only can it ruin your boat or business, but more importantly a shipboard fire can costs lives. 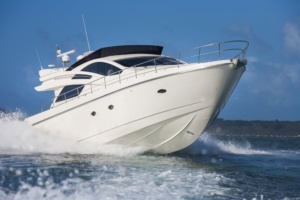 Whether you need a complete marine fire suppression system for your boat or need your fire extinguishers checked and recharged, All Florida Fire Equipment is the place that people in the greater Tampa area turn to for fast and reliable service. Our company services and installs all major marine fire suppression systems: SeaFire, Fireboy, Kidde, FM200, Halon, CO2 and other major brands. We also can service foreign marine fire suppression systems. We are located in the heart of St. Petersburg and our mobile service fleet will provide you with the best in dockside service at your convenience. Whether you need a full engine room fire suppression system or need us to check and mount your fire extinguishers, we’ve got you covered. Our technicians have all passed a stringent training program and are current with the latest requirements for maintaining and servicing fire suppression systems. Our service technicians maintain current Florida Fire Marshall Permits and carry TWIC credentials to permit them access to port and government-regulated facilities. We are licensed to issue you a Coast Guard Certificate of Inspection (COI) upon the completion of our inspection and service. Our hydrostatic service center is an approved DOT testing facility, and we can apply hydrostatic testing to any type of fire suppressions systems and equipment. More than 90% of all new boats come with an automatic fire suppression system, but unfortunately, a high number of boat and ship owners fail to have their systems inspected and serviced annually. Most fire suppression systems will be only used once in their lifetime, but if you have a fire, there is no room for error by having a system that doesn’t work. It’s simply not worth the risk to not maintain your fire protection system at the highest level and we’re here to help have the peace and mind that comes with knowing that you’re protected while on the water. But, at the end of the day we can’t provide you with the fire protection system that you, your family and employees need and deserve unless you give us a call. All Florida Fire Equipment is centrally located in St. Petersburg, and we service, maintain, certify and inspect vessels and fire safety equipment systems up and down the gulf coast. All Florida Fire Equipment has been doing business since 1993, and our outstanding reputation in the sea-faring community makes us the first choice of boat owners in our community. If you are anywhere in the Tampa, St. Petersburg, Clearwater, Lakeland, Largo, Sarasota, or Bradenton areas, we are just a phone call or email away. Call us at 727-525-5950, or email us at service@allfloridafire.com, or fill out our easy Contact Us form and we’ll reach out to you.